Being able to use a location sharing application while driving can be a useful tool, whether you want to let a friend or family member know your estimated time of arrival or use it for your business so customers can see when a service technician is expected to arrive at their house. Car location tracking for Volkswagen will now be available to Volkswagen dashboards through Glympse for Auto, a location sharing app that lets you share your location with whomever you’d like for as long as you’d like. Volkswagen is one of the latest partners to enable Glympse for car location tracking purposes in their vehicles. To help make it safe, Glympse will be available right through the dashboard’s MirrorLink interface to help minimize a driver’s need to fumble with their phone while on the road. MirrorLink is part of the latest edition of Volkswagen’s infotainment platform, MIB II, which should be released later this year for car location tracking for Volkswagen drivers who want to use the Glympse app. 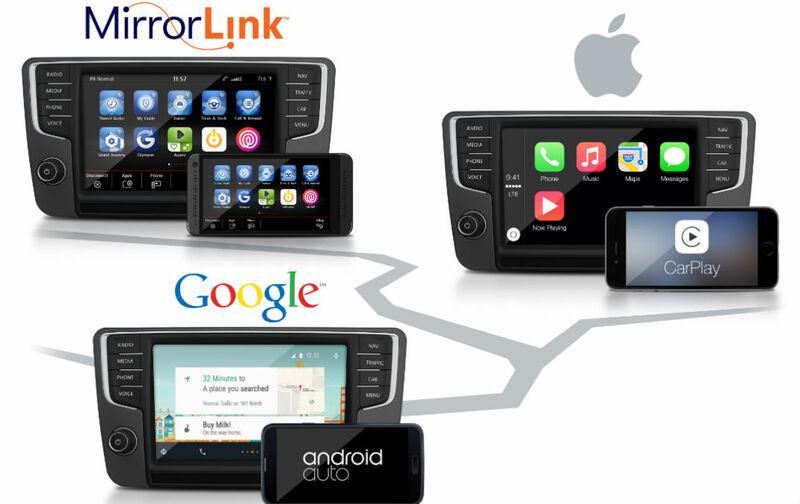 The system will also support smartphone interfaces Google Android Auto and Apple CarPlay. The way Glympse’s car location tracking for Volkswagen will work is by allowing you to share your location with anyone you want. Just select the individuals you would like to share your location with, and then set how long you would like your car location tracking to operate. The timer for location sharing can be set for up to four hours, and once your selected amount of time has run out, your location will no longer be shared. Those who you share your location with will be able to view your location in real time. Installing the app is not required for them to see where you are. For future updates on car location tracking for Volkswagen, continue checking back to the Volkswagen Santa Monica blog. To see current Volkswagen tech offerings, check out our new vehicle inventory. If you have questions just contact our team at the dealership or stop in for a visit. Will Future Volkswagen Models Have Android Auto? This entry was posted on Monday, March 16th, 2015 at 2:14 pm	and is filed under Volkswagen News, Volkswagen Technology. You can follow any responses to this entry through the RSS 2.0 feed. Both comments and pings are currently closed.